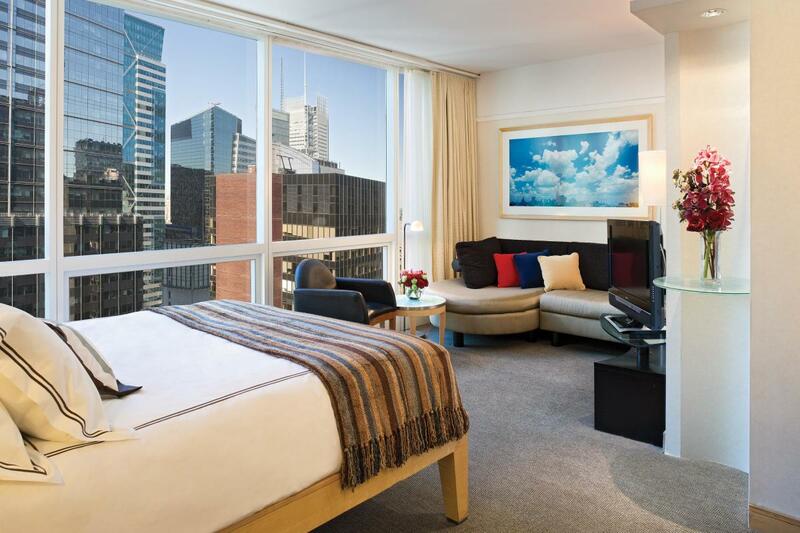 The Premier Hotel New York provides 124 beautifully-appointed rooms that offer a residential feel near the center of Times Square. Each guest room is one of seven on any floor, and features floor-to-ceiling windows, a European soaking tub and separate walk-in shower. Guests are welcome in the exclusive Premier Lounge, which is perfect for kicking back with complimentary continental breakfast, refreshments and evening receptions (which take place on weekdays). The hotel features attentive hospitality, as well as modern luxuries such as complimentary WiFi, on-site concierge, business center, fitness center, dry cleaning and laundry, and valet parking.